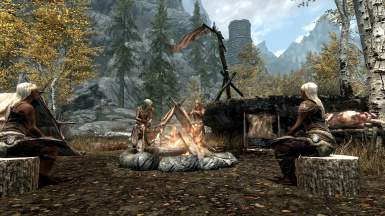 Hunting in Skyrim is a mod for The Elder Scrolls V: Skyrim that adds a Hunting Guild to the game, and completely overhauls the entire hunting experience. It features realistic animal skinning (like Red Dead Redemption), animal trapping, kill & stat tracking, new skills and abilities, new NPCs and locations, new dungeons, new weapons and more. You are able to make a translation of this mod without my permission, but full credit to me must be shown on your mod file. JDFan - The wonderful wall maps of Tamriel. Anaraavi - For writing some of the new hunting related books & journals. Thanks to Neodymus the script during Pelts for the People has been fixed to only take 10 total Wolf Pelts or Deer/Elk hides. Thanks to Vicn for the awesome resource for new animal models. Nedius - usage of textures from Real Wildlife Skyrim. TreasureChest, DVAted and Tumbajamba - Sabre Gear Backpack. Hunting Guild Armour (Nordic Hunter Light Armor) world model, thanks to hothtrooper44, c/o Immersive Armors. Chesko - For help with region and weather detection, as well as object placement. New guild location - Amberleaf Den, located near Riften (map marker automatically added). 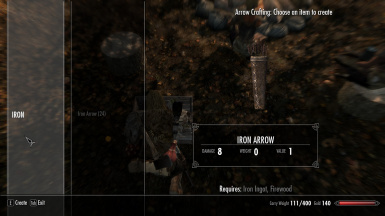 New Ability/Feature: Arrow Crafting (Fletching) - A new Wildlander skill ability to craft arrows using a Portable Arrow Crafting Kit or at a Forge. 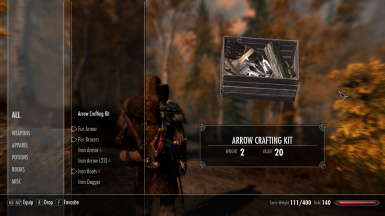 Portable Arrow Crafting Kits deplete after so many uses. New Ability/Feature: Field Alchemy - A new Wildlander skill ability for using Mortar & Pestles. Potions brewed in the wild are weaker by default, this ability improves them. Mortar & Pestles come in 4 qualities, each lasting longer. New Ability/Feature: Bait Mixing - A new Trapping skill ability for creating animal baits using a Mortar & Pestle. Mixed baits give a higher chance the trap will be successful. 3 bait qualities. 5 new named NPC Guild Members found at Amberleaf Den. Trainers and merchants. It's not required but I recommend using a new clean save. Lots of old obsolete content removed. You may notice Papyrus script errors referencing objects not found if you continue with a save. These can be safely ignored as everything is working normally and remains 100% functional. New animal: Pheasant. Now available through trapping. 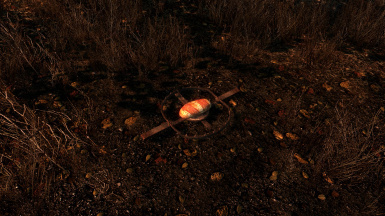 Fixed missing texture on insect traps. • Fix: Skinned Horker mesh crash. • New: Interior of Bearclaw Lodge more complete. Ground floor (shops, inn) and basement (sleeping quarters) all complete. Upper floor still to finish. • New: Named NPCs added to Guild. Blacksmith - Moth gro-Bagol (vendor, trainer), General shop owner - Frieda (vendor, trainer), Fletcher - Daenlin (vendor, trainer), Trapsmith - Wodan the Elder (vendor), Bard - Gunnbjorn, Innkeeper - Asta, Farmer - Lilina, Alchemist - Aldond Darethran (vendor, trainer). All with jobs and AI packages. 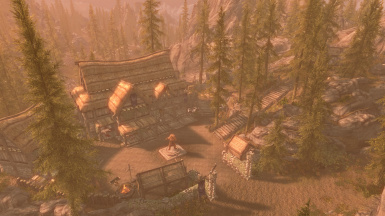 • New: Generic Guild members (just called Hunters) added to the outside and inside of Bearclaw Lodge. • Navmeshing completed including surrounding cell link ups. • General cleanup and fixes. If updating from a version before 2.0, clean save required. * 3 new abilities for the WildLander skill: Quick Foot, Cure Wounds, Woodland Guardians. * Skill points are now only earned every 3 levels, not every 2. * Minor changes and fixes. * Bug Fix: fixed erroneous script issue. DO NOT UPDATE. USE ON A CLEAN SAVE ONLY. 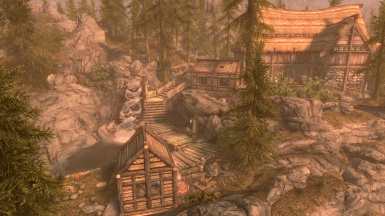 * Hunters Guild now located in Falkreath Hold (Bearclaw Lodge). Only the outside is complete. * Kill stats, skinning and trapping all available from the start of the game. * All perks converted to abilities. * New Wildlander skill for the ranger archetype. * My Portable Alchemy is included. Craft potions anywhere! * SKSE features converted to not require SKSE. * Mod also available for Skyrim Special Edition. * More changes, check mod description for details. • Perk requirements in the No Perks version altered to account for SkyRe/Perma perk changes, if the player is using SkyRe/Perma. • New and improved models and textures for skinned animals; Deer, Elk, Horker, Mammoth, Sabre Cat and Troll. • Users of Hunterborn will get my skinned animal effect when using the skinning system in Hunterborn. 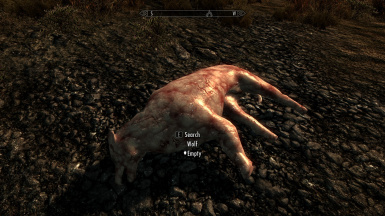 • Realistic Skinning system no longer works when the player is in werewolf form. • Ability to improve Hunting Guild armour fixed. • Hunting Challenge 9 now available and will begin automatically upon completing challenge 8. • Fixed lots of papyrus log errors. • The passage of time in the Realistic Skinning system is now optional and can be turned off in mod options. Default is on. • Hunting Challenge I released. Can be initiated by carrying out the first challenge once the player receives their log book. • Craftable backpacks that increase carry weight; craftable at Tanning Racks. Created by TreasureChest, DVAted and Tumbajamba - Sabre Gear Backpack, and used in Hunting in Skyrim with permission. • Alternate skinning system available, the Realistic Skinning system. New way to skin animals besides taking carcasses. 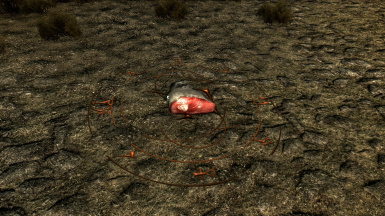 The player will be able to choose either the carcass system, or realistic system for skinning pelts. Both are also optional, the player can use neither if they wish. • In-game help system created. 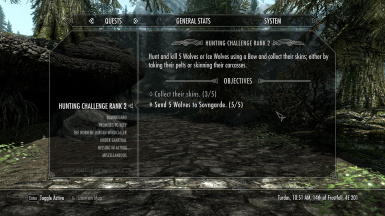 Offers info on different mechanics and features in this mod, help during quests (Like the first quest to find the Wolf), and also the ability to skip contract quests in the event they get stuck for whatever reason. • Added Good, Fine, and Flawless improvements for Sabre Cat Black Pelts. • Added more variety to the appearance of the Hunters in-game. This was due to the radiant recruitment quests the player will be able to undertake; I didn't want too many of these members to look alike. • Due to changes to the LCharHunter levelled actor as detailed above I've added the necessary Bash tags to the mod. This will allow the levelled actor to be compatible with other mods, as long as the bashed patch includes those. • Added new pelts for Tolls and Frost Trolls. Only available after the log book is given to the player. • Options menu available via Path of the Woodsman, allowing the player to customise various aspects of the mod, including choosing which skinning system they want to use. An MCM menu system was not chosen so the player could chose various options and only require the base game and my mod, nothing more. • Added new pelt; Rabbit Fur. Available from skinning/killing Rabbits after the player receives their Log Book. • Hagraven kills now tracked. • SKSE feature - Realistic Skinning System animation. Without SKSE after skinning the camera will default to third person. With SKSE it will remember which setting the camera was on before skinning started, force third person to skin, and put it back. • SKSE feature - Carcass Skinning System animation. Without SKSE the animation for taking a carcass will play even if in first person, meaning the player doesn't see it. With SKSE it will remember which setting the camera was on before skinning started, force third person to skin, and put it back. 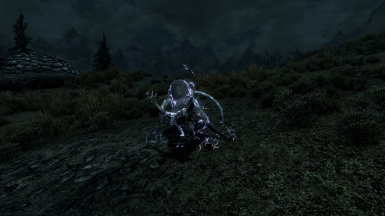 • Added support for Dawnguard creature Vale Deer for skinning systems. Vale Deer Hide value set to 20 gold as well as the ability to improve the animal skin, is only possible if you have SKSE. Stats wise a Vale Deer is counted as a regular Deer. 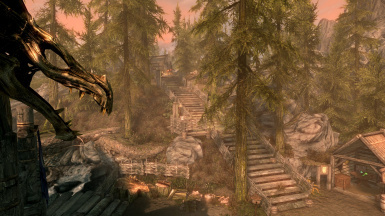 • Added support for Dawnguard creature Vale Sabre Cat for skinning systems. Vale Sabre Cat Hide value set to 50 gold as well as the ability to improve the animal skin, is only possible if you have SKSE. Stats wise a Vale Sabre Cat is counted as a regular Sabre Cat. 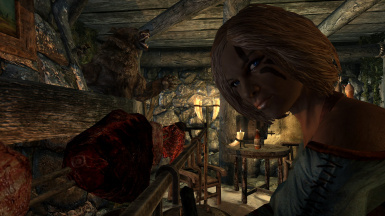 • Technically a change, however all arrows that have the keyword VendorItemArrow can now be salvaged from dead animals when using the Carcass Skinning system, not just vanilla Skyrim arrows. This will now include mod added arrows and arrows from official DLC. • SKSE feature - Carcass weights can be increased in the mod options menu; accessed in Path of the Woodsman. • World model for Hunting Guild Armour (Nordic Hunter Light Armor) now included, thanks to hothtrooper44, c/o Immersive Armors. • Hunt notifications like "Deer Killed" are now optional, and can be enabled/disabled in the options menu via Path of the Woodsman. Default is on. • Your controller will vibrate when a successful kill is made, and like notifications this can be enabled/disabled in the options menu via Path of the Woodsman. Default is off. • Added some missing crafting recipes for pelt crafting and improvements. • Fixed carcass script to account for followers carrying carcasses for the player (not retroactive, only fixed for new instances). • Thanks to Neodymus the script during Pelts for the People has been fixed to only take 10 total Wolf Pelts or Deer/Elk hides. • Added hold parent locations to animal dens to allow new radiant hunt system to take effect in those locations. • Removed unnecessary destruction data from Hunting Practice Arrows. Hopefully should fix issues with the reproccer. • SKSE feature fix - Added better conditioning to the script that closes the inventory when taking an animal carcass. The feature presses your menu/journal key to close the menu, and sometimes this would cause the menu to fire twice. 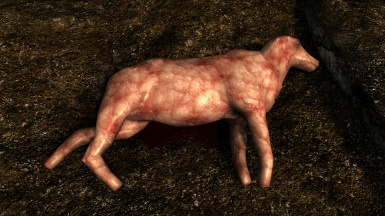 • Edits have been made to the Goat and Horse death item levelled list, carried over from the Unofficial Skyrim Patch. The "Use All" box has been ticked. • A lot of general housekeeping. • Revamped and improved the kill tracking system. • Improved conditions required for animals and creatures to be seen by my Stat Tracking system and Carcass Skinning system. 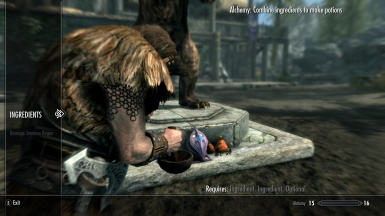 Should hopefully catch mod added animals better; however they still need to have certain vanilla Skyrim attributes. Details for mod authors on how to make their animals work with my systems will be added to the website when update 1.3.6 is uploaded. 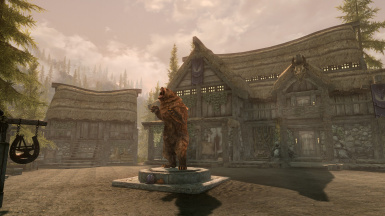 • Changes to Bears and Cave Bears brought over from the Unofficial Skyrim Patch. 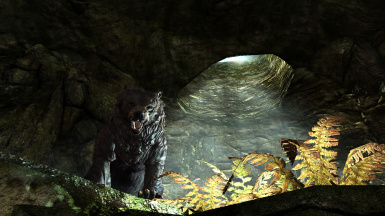 Cave Bears are now black as intended, and standard Bears are now brown as intended. All guild trophies, and animal carcasses, are changed to match. Changes are retroactive. 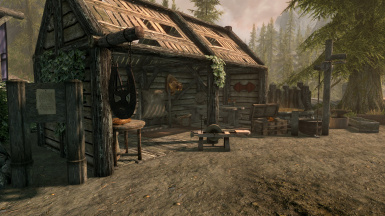 • Increased prices for Sabre Cat Black Pelts. • Skinning and crafting stats are now only updated within 2 seconds of exiting the crafting menu, instead of after skinning every carcass individually. This is to improve the script speed when skinning carcasses. Also affects the Skinning Rack for improving pelts. • Changed the animation for taking an animal carcass to be optional. Applies to both the carcass system and realistic skinning system. However the game will always fade to black for the realistic system if the animal is added by a mod. • Trophy system no longer requires the carcass skinning system. Animal pelts can be used instead of animal carcasses. • Power to turn on/off the skinning system removed. Customisation now available though an options menu via Path of the Woodsman. • Removed Debug.Notification() functions from skinning and hunting kills, and replaced with Message.Show() functions. Better scripting practice, and better for mod translations. • If the player is sneaking when they take/skin a carcass, no animation/idles will play; thus not breaking the sneak. • Improved script for Portable Skinning Kits themselves as well as the notifications for set up and pack away times (switched from Debug.MessageBox() to Message.Show() where needed). Pack away times also now given in minutes. Both notifications are now read in the first person; "It has taken me 2 hours to set up." • If the Carcass Skinning system is disabled, Portable Skinning Kits (the Misc Item version) won't display any messages, it will simply be added to your inventory. This is because they also serve as a skinning time bonus in the Realistic Skinning System. • Removed the "Complete Quest" box tick for each of the stat and system management quests. There are mods that add things like auto save on complete quest, which would happen every time you skin a carcass for example. This is no longer an issue. • Removed the notifications for pelt improvements; for now. Altered conditions for the Jarl Approval quest to try to better compensate for the civil war questline. Fixed issue where pelts weren't being counted properly during The First Of Many quest. The Pelts for the People quest now requires Deer or Elk Hides instead of Bear Pelts. Fixed rare and random crash issue. Overhauled the Contracts system to improve stability and reliability during certain situations. Fixed texture set for Timber Wolf, White Wolf, and Black Sabre Cat animals, and the Frost Troll trophy; missing env. map. Great White Stag - Fixed the skin texture, will no longer have a blue tint. Also decreased the animal's size slightly. Fixed dialogue for upgrading the Whiterun shop to only accept Gold once, by removing the upgrade note. Fixed perk entry points. Higher perk ranks for my perks did not exclude lower ranks. Manually cleaned up a few wild edits. Fixed durations for the Hunter's Kill Vision spells. Fixed Wolf Carcass condition that made it unavailable. Huntsman Feats now only count towards your Hunting Skill by 1/10th. Removed the fade-to-black when taking an animal carcass. Removed the notification that my SKSE features are enabled. Removed unused files from file system, lowering the BSA file size. Added my custom recorded music back into the mod, converted to XWM so it longer causes crashes. Hanging Rabbits/Pheasants in Guild Halls will now respawn and behave realistically. When harvested they will disappear and respawn 3 days later. 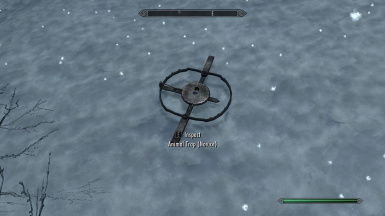 Their normal vanilla counterparts do not do this in Skyrim. New Ability added - Hunter's Precision. Causes bleeding damage with bow attacks against animals and creatures. 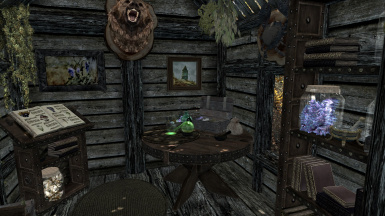 Users of my Woodsman's Shack player home will find a Skinning Table and Skinning Rack outside the shack. Woodsman's Shack will not require an update. 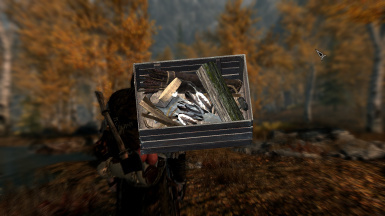 Added the ability to craft Portable Skinning Kits at Portable Skinning Kit Crafting Tables. 8 variations available for each type; Deer, Elk, Cave Bear, Snow Bear, Horse, Sabre Cat, Snowy Sabre Cat, and Mammoth. Added the ability to craft Leather at Skinning Racks for all animal pelts, including improved pelts. Improved pelts can give you Good, Fine, and Flawless Leather. Added the ability to improve (temper) the Hunting Guild Armour at blacksmith workbenches. Added a Skinning Table to Cliffside Retreat in place of the standard wooden table there. Set up an update script to transition between the old and new skill systems. Beginnings of Animal Clue System released. Inspecting animal claw marks inside Animal Dens. Hunting Guild Main Hall renamed to Deerstalker Lodge. Map Marker still named Hunting Guild. 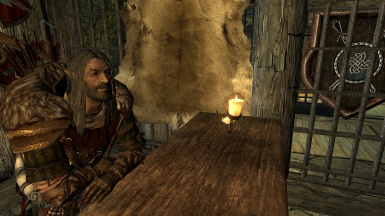 Changed the conditions for the Jarl Approval quest to better compensate for the Civil War questline. Removed my custom guild hall music. 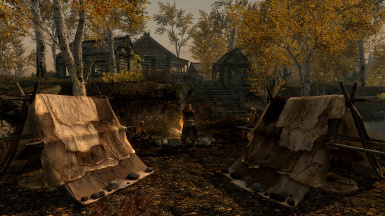 Some users were getting crashes when entering the Whiterun Outpost. Streamlined and optimised how contracts are given to the player. Added 2 more radiant common contracts (making the total number 4). Fixed Thieves Guild contract quest. Fixed Hunting Guild loading screens being too predominant. 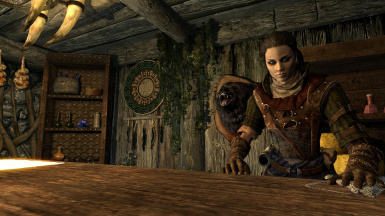 - Pelts added by Real Wildlife (Like Large Bear Pelts) will count towards pelts counts, during some quests. 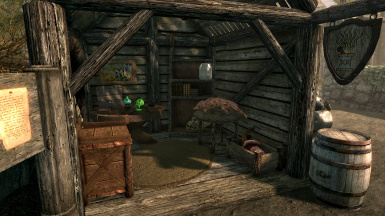 - Added special activator in Whiterun Guild Outpost to convert Real Wildlife pelts into normal pelts. - Skinning & Carcass System. - Added more main quests. - Added repeatable contract quests. - Added the beginnings of the trophy system. - Added purchasable guild hall upgrades. 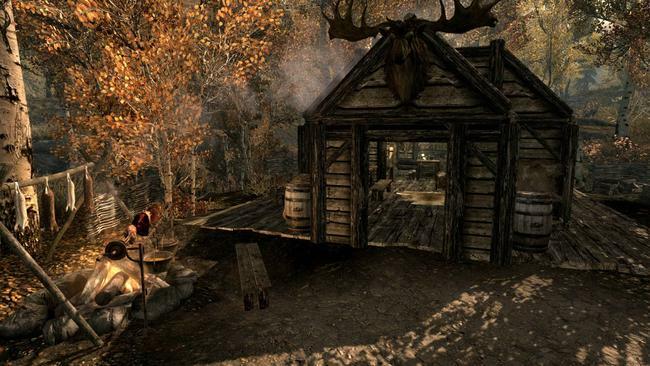 - Fixed Elk Hides to read Elk Hide instead of Deer Hide (game issue). - Fixed pelt trading dialogue to accept the correct Deer and Elk Hides, and fixed the Sabrecat Pelt bug. 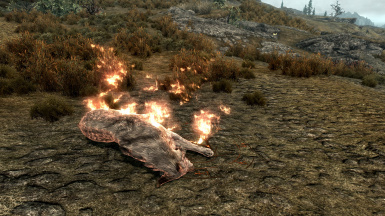 - Fixed mod bug where "friendly" animals (dogs etc) would attack the player, like the ones in Dawnguard. - Fixed game bug where Black Bears had brown pelts, and Brown (Cave) Bears had black pelts. 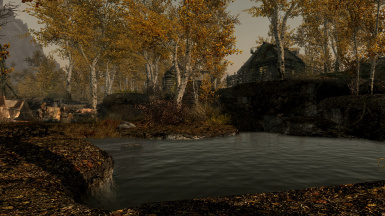 - Mod has been cleaned with TES5Edit (and will be each update). - Slanted wall outside of Pelagia Farm. - Deleted pillar in the Bannered Mare. - Fixed stair in Whiterun Guild base so actors no longer get stuck at the top. 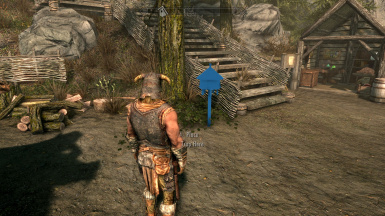 This is a bug with that stair object, in all places in Skyrim you find them... like in Breezehome. - Fixed a bug which meant all hunters in the game say the line "...you're the one who killed Great White", and only that line. Fixed skewed land near Whiterun. Added the start of the Guild, in the basement of the Drunken Huntsman. Navmeshed, so follower friendly. Important: Do not update to version 2.0 from 1.37, only use a clean save. 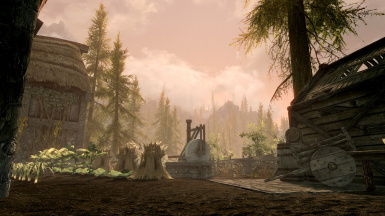 In its current state Hunting in Skyrim is release-ready but not feature-complete. What that means is everything in the mod is working to a standard of a finished mod, but is still being actively developed. This means things may be changed or tweaked, and new features added as development progresses. It is safe to use the mod as-is. 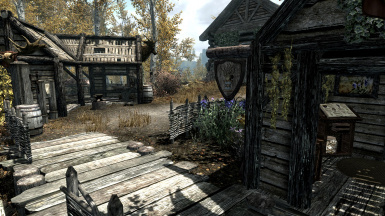 Hunting in Skyrim overhauls the entire hunting experience in the game with tonnes of new features. A new animal skinning system has been added, visibly removing the skin from the animal in the game (think Red Dead Redemption). 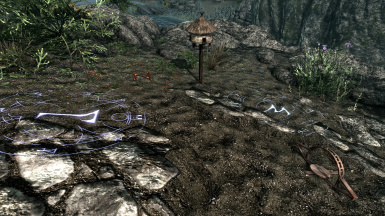 Players can also set animal traps with lots of different bait options, with different regions of Skyrim and Solstheim (and Falskaar if you have that mod) offering different animal/bait combinations. There are also hunting challenges to fulfil, new skills and abilities to unlock, new animal variants, new dungeons and much more. To start the mod features, select your Path of the Woodsman spell and cast it using the shout key. Be sure to check back for new updates, and always back up your save game before use. Currently no quests are available. 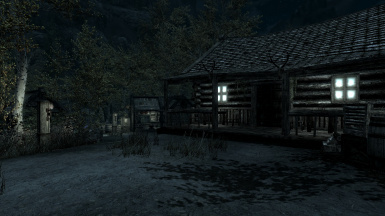 My website www.huntinginskyrim.net provides all of the information on what features are included in this mod. Some information may be outdated as the mod has been overhauled for its release on Skyrim Special Edition. Expect it to be updated when possible. 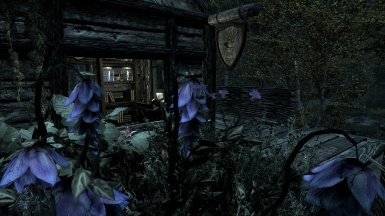 Two hunting guild locations, one in Falkreath Hold and the other in The Rift. Do not update to version 2.0 from 1.37, only use a clean save. 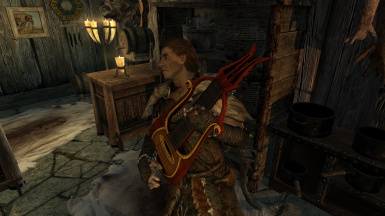 All Skyrim DLC is required for this mod. Compatibility, troubleshooting, and frequently asked questions can be found on the troubleshooting page. Always follow modding best practices when installing or updating this mod. Also available for Skyrim Special Edition. Many people along the way have helped me in various ways. Some helped when I was learning to code, others have allowed me to use their models or textures in my mod. A full list of credits and acknowledgements can be found here. 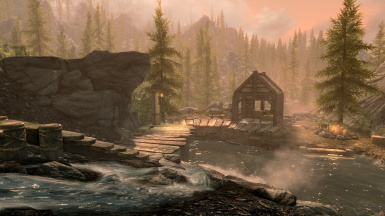 Hunting in Skyrim will be released for Xbox One when it is ready to be ported. 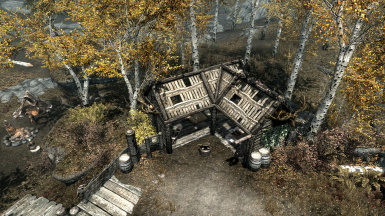 As a compliment to this mod, I recommend using my Hunter player home Woodsman's Shack.